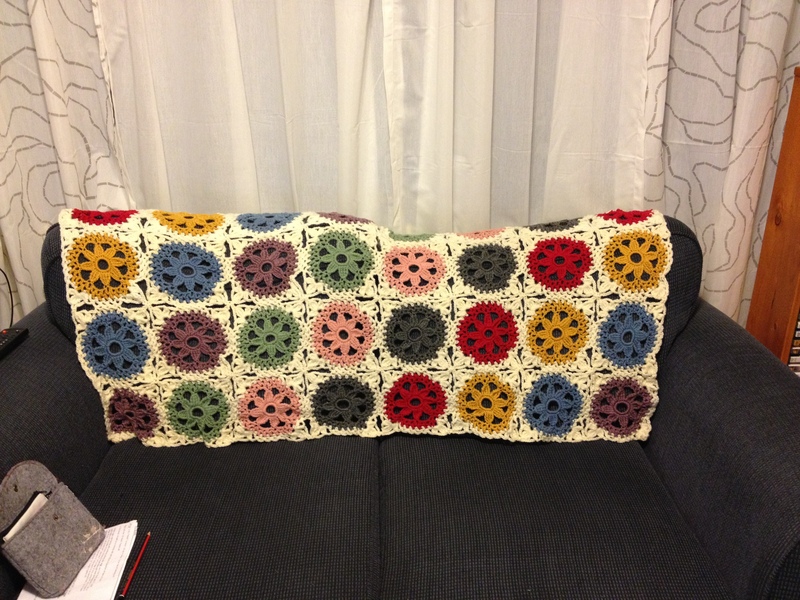 Tonight I thought that I would show off a long time work in progress – a multicoloured crochet blanket! 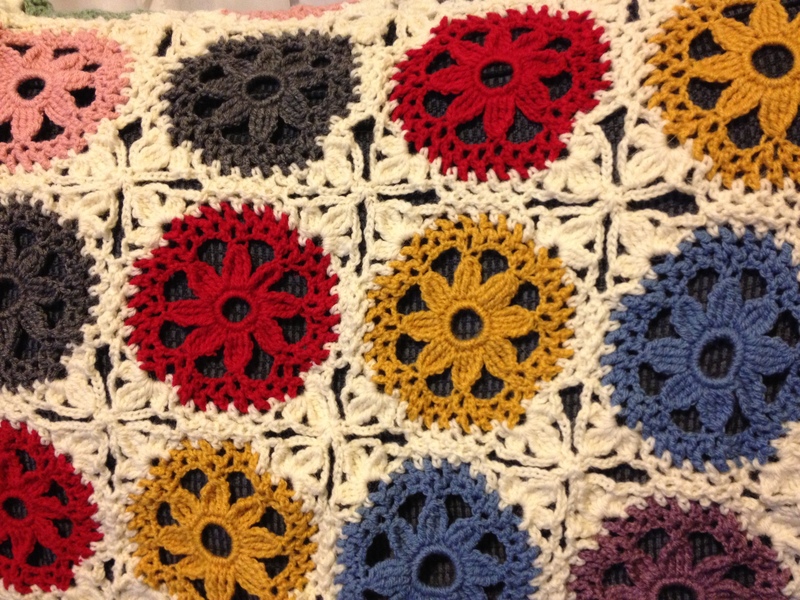 I truly love this blanket and aim to work on it until it’s big enough for a queen bed. But for now it’s more of a throw. I’m falling asleep as I type, so I think I’ll make my lunch for tomorrow and head off to bed! I agree about the need for more colour! I don’t know if I have the patience either considering that I haven’t worked on it for a year. I might see if I can double its size and then stop. We’ll see! Good luck, either way you go it’s a great blanket! oh that is beautiful. I absolutely love the colors you’ve chosen, and gorgeous pattern!!!! nice work! hey I started knitting a black scarf!